Nigerian sensational Rapper and Showbiz Impresario, Seemo Da Black Czar is set to drop two banging and conscious satire songs about the Presidential elections of February 16th, 2019. 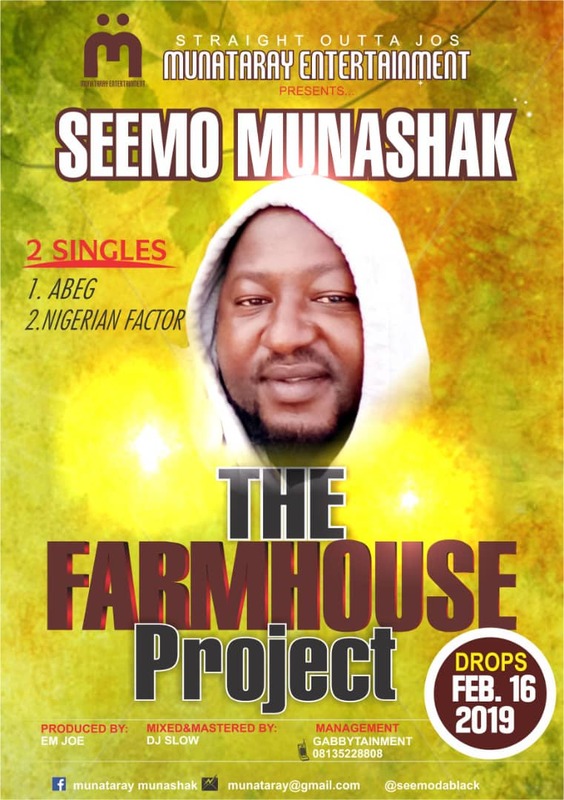 The two songs are singles off his forth coming Album, "THE FARMHOUSE PROJECT" that will herald the launch of his Record Label, "MUNATARAY ENTERTAINMENT". 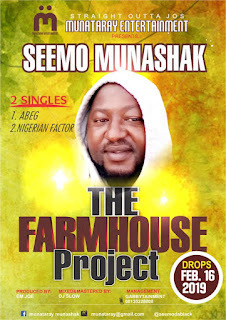 With the singles produced by Em Joe, mixed and Mastered by DJ SLOW, the BIBINI KASAHARI Lirical Warlord, now called SEEMO MUNASHAK is breaking a decade of silence on his career to the delight of his fans. Let's get Nigeria Working the Next Level.